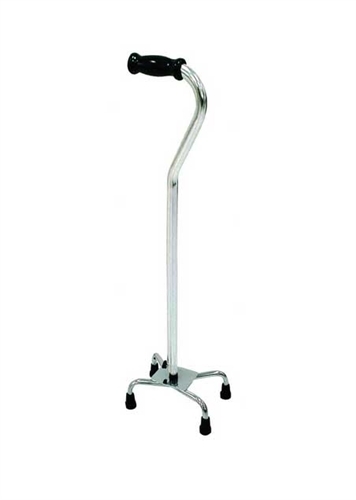 The Bariatric Quad Cane with Small Base by Drive Medical is a heavy duty height adjustable cane with a 500 pound weight capacity, four point base, offset handle, aluminum tubing, and steel base. 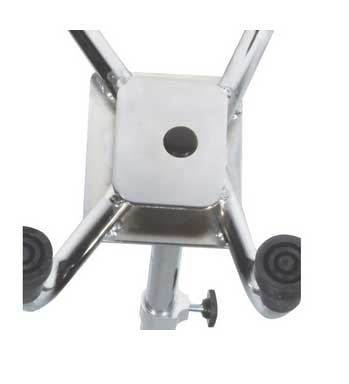 It provides additional walking stability and support for larger users. The Drive Medical Bariatric Quad Cane is height adjustable from 30” to 39”. It features a comfortable vinyl handle with contoured hand drips. The Quad Cane is manufactured with an aluminum shaft and a steel base to provide the perfect balance of safety and durability.